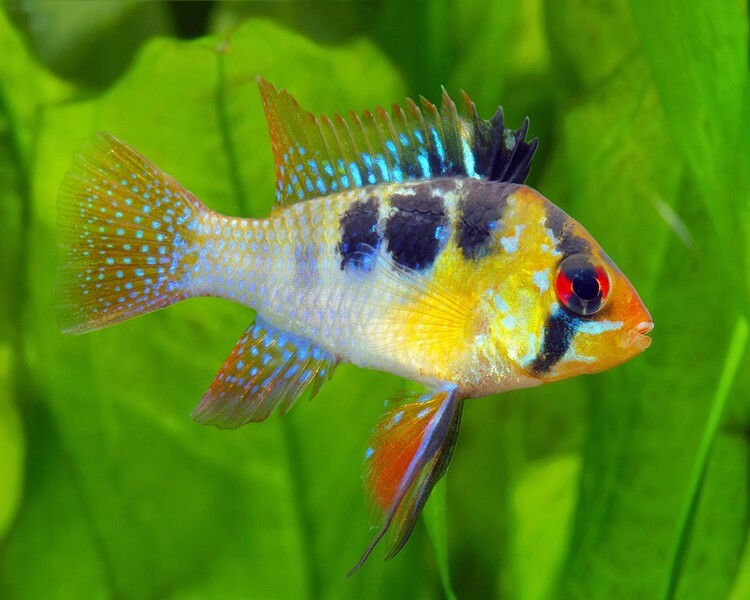 Dwarf Cichlids are pretty, friendly fish that can dispaly wonderful colours and personailities. The size and peaceful nature mean that they can be enjoyed by hobbyists with smaller tanks as well as the more serious aquarist. 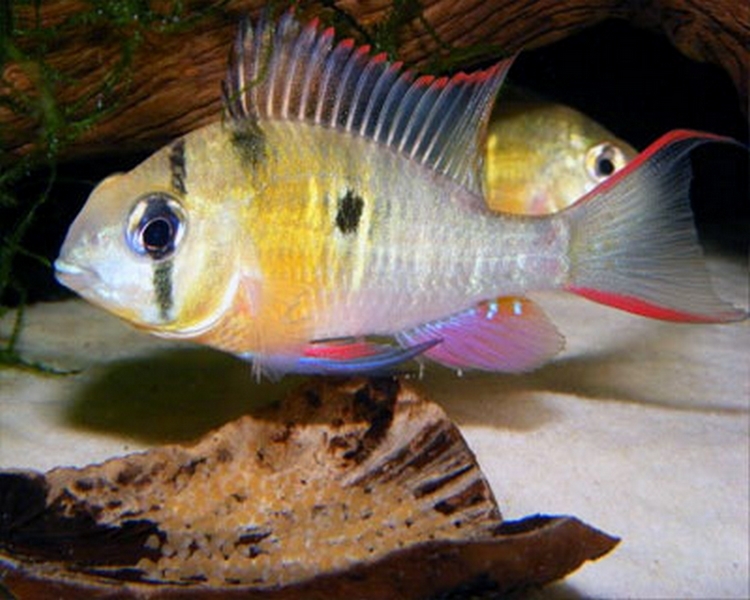 The group of Dwarf Cichlids actually originate from both Central and south America as well as West Africa. 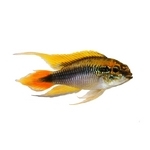 They are generally peaceful fish but, as with all cichlids, they can become territorial, especially during breeding. Long Fin Electric Blue Ram - 2"